Ivy-leaved Bellflower is now only common in the South West of England where localised groups of plants can still be found. 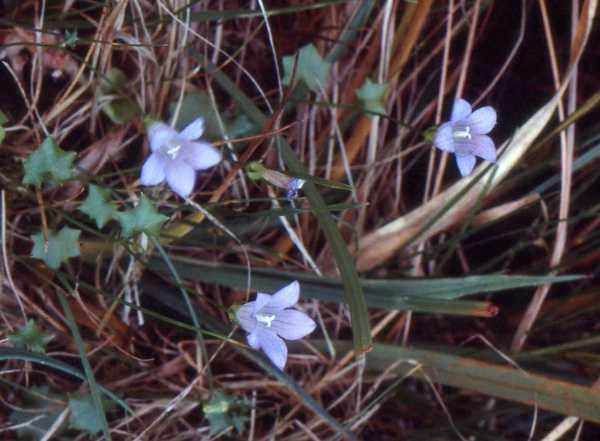 The leaves of the plant are lobed and resemble tiny ivy leaves, and the pale blue flowers form elongated funnels which flare at the tips. The overall plant is delicate in appearance and trails over damp meadows and heaths. The flowers appear in July and August.